Seabass are predatory fish and are found schooling in the autumn months, hunting sprats and herring shoaling close to shore to spawn. Their active, predatory lifestyle gives them their famed, firm flesh. Not to be confused with the American striped bass, which is a freshwater species and also, nothing to do with Chilean seabass (AKA the Patagonian toothfish- one of the least sustainable options around). Bass are normally caught in drift nets on a spring tide. The fast-flowing water pulls the net along with it, ensnaring the larger fishes in the shoal below. Prices for bass have fallen over the past decade, due to the influx of cheaper farmed bass from the Mediterranean. A favourite of gastropubs; these flabby, slimy fish aren’t a patch on their wild cousins. Also farming bass isn’t particularly sustainable, they’re fed fishmeal pellets (made from ground up wild fish) and as they’re active predatory fish, the conversion rate isn’t great. It makes about 3kg of fishmeal for a bass to gain a kilo of weight- that’s a net loss from the sea. A large number of bass spawn in the English Channel. Their spawn then heads to estuaries especially in the southeast, where they mature. Fortunately, these areas are no take zones and provide a safe nursery for many juvenile species of fish. In January 2015 the EU slapped a ban on trawling for bass during their spawning period, which should keep the stock at healthy levels. All our bass are caught using static gear and occasionally rod and line. 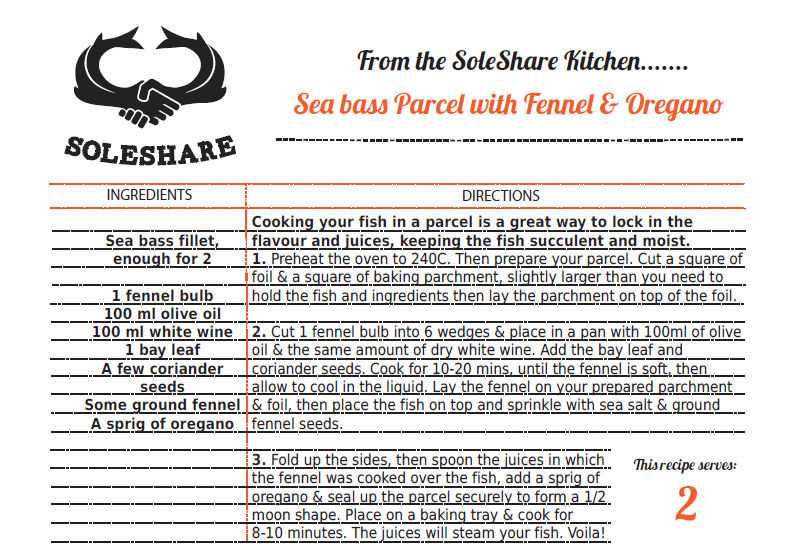 Seabass are incredibly versatile: delicious raw, steamed or roasted. They have a delicious flavour that is beautifully complimented by light Asian dressings or a simple beurre blanc. The fish should be the star though, don’t overpower it. N.B. Do watch out for the spines when descaling, their operculum (the bony plate covering the gills) is as sharp as a razor too.